Written by Gillian Welch and David Rawlings and released on Gillian’s 2011 album, The Harrow and The Harvest. It has since been performed and recorded by artists such as Chris Thile and Josienne Clark and Ben Walker. An Appalachian song from the singing of Jean Ritchie, I first heard Swing and Turn (Jubilee) from Laura Cortese at Orkney Folk Festival in 2017. The song can be found in Jean’s own book “Folk Songs of the Southern Appalachians as Sung by Jean Ritchie” reissued by the University of Kentucky Press in 2016. The song features on Mudcat Café, an online discussion group and song and tune database. Jean stated on the forum: “Jubilee is a Ritchie family gamesong, but I never did a copyright on it because it was collected from another source in the community – everyone around knew it. A lady named Marian Skein wrote it down at Ary, Kentucky and it was published by Lynn Rohrbough, Cooperative Recreation Service, Delaware, Ohio in 1939.” Lorraine Lee Hammond states that the tune for Swing and Turn (Jubilee) is a common tune of choice for the ballad, Gypsy Davy. In Jeannie Robertson’s “distinctly Scottish version of The Gypsy Laddies, the opening line of the verse is again the familiar musical phrase used by Jean Ritchie and Woody Guthrie. And down the creek I’d go. I first heard the song when it was featured on the hit American TV show, Californication (How very traditional!) If I Go, I’m Goin was written by Gregory Alan Isakov and released on his 2009 album, This Empty Northern Hemisphere and was rereleased on his 2016 album, Gregory Alan Isakov with the Colorado Symphony. The captain declares the ship is in peril and has come under threat by another vessel, usually French, Turkish or Spanish. The ship’s cabin boy offers to sink the foreign vessel, in return for rewards such as gold and the Captains daughter’s hand in marriage. The cabin boy successfully swims and sinks the enemy by boring holes in the ships side, then returns to The Golden Vanity. In some variants, the boy is rewarded and in others he is shot and drowned or taken aboard the ship too late and dies on deck. In select texts, he drowns and returns as a ghost to exact revenge and sinks the ship. The ballad is found in the Missouri State Max Hunter Folksong Collection Archive. The ballad features in John Ord’s Bothy Songs and Ballads as well as Gavin Greig’s Folk-Song of the North-East – which reinforce the notion that the ballad was ever-present in the ballad heartland of Aberdeenshire as well as in several countries. Several versions of the ballad feature on Tobar an Dualchais – Kist of Riches online archive from contributors such as John Strachan (SA1952.026), Willie Mathieson (SA1952.008) and Lizzie Higgins (SA1970.022) and Jeannie Roberton (SA1957.44) The ballad was collected by Alan Bruford in Fetlar, Shetland in 1970 from Catherine Mary Anderson (SA1970.245). Jean Ritchie recorded the ballad on her 1961 Folkways album, British Traditional Ballads In The Southern Mountains Volume 1. Jean’s version, which she learned the from her mother, corresponds with Story Type A found in Tristram Potter Coffin’s The British Traditional Ballad in North America. The refrain “As she sailed upon the low, and lonesome low, She sailed upon the lonesome sea” seems to be typical of variants of the ballads recorded and collected in the Ozarks and Appalachian mountains and references The Merry Golden Tree, Weeping Willow Tree, or Green Willow Tree as the ship. 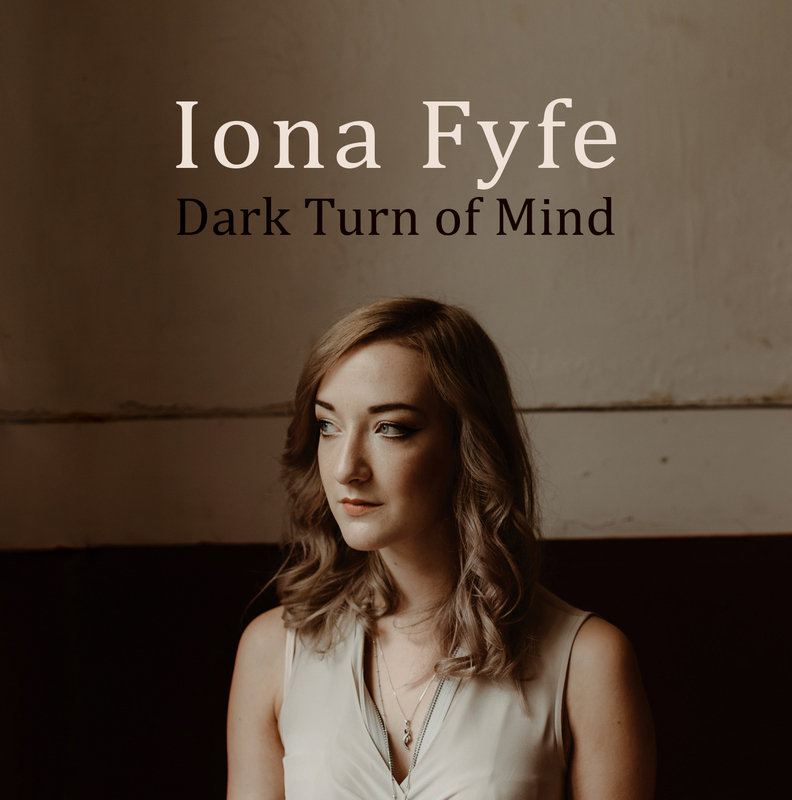 The version featured on my Dark Turn of Mind EP is an amalgamation of verses from the text featured as Version A in Cecil Sharp’s English Folk Songs from the Southern Appalachians and from Version B of Child’s Popular Ballads. Coffin states: “The Sweet Trinity in this country (America) does not really follow any of the Child versions textually, although there is on the whole a closer resemblance to Child B and C than to Child A.” The Golden Vanity is one of many classical ballads which ably showcases the global universalism of ballads. I found this song in the Max Hunter Folk Song Collection, an archive of almost 1600 Ozark Mountain folk songs, recorded between 1956 and 1976. The collection is a joint project between the Missouri State University Department of Music and the Springfield-Greene County Library in Springfield, Missouri, where the permanent collection is housed. Materials on this website were transcribed and digitised from Max Hunter’s original reel-to-reel tapes and handwritten lyrics. Alternative titles for the song, #1034 in the Roud Index, include Adieu to Cold Weather, My Love is on the Ocean, My Love is Like a Dewdrop, Cold Winter, Fare Thee Well and Farewell He. The song is “considered to belong to the group of songs found in tradition as Farewell He, Fare Thee Well Cold Winter and so on; examples of which are known from Ireland, England and Scotland; and of course, America and Canada. (Mudcat) A Scots version titled Let Him Gang can be found in Volume 2 of David Herd’s Ancient and modern Scottish songs, Heroic Ballads. This dates from 1776, which suggests that the floating verses which feature in both variants of the song, may have originated in Scotland. Another version of the song features in Frank Kidson’s 1929 ‘English peasant Songs’ collection. The text also appears in Gardiner and Chickering’s 1939 collection, Ballads and Songs of Southern Michigan. The song is featured in the Bodleian Library, with four variants dating between 1813 and 1850. The first verse is a floating verse which also features in the Aberdeenshire love song, Bonny Udny. O to weep is a folly, is a folly to me. Listed as Roud #803, this song is another which perfectly exemplifies the universalism and similitude of songs and ballads which have been collected on both sides of the Atlantic. This version is an amalgamation of text from Jeannie Robertson’s Little Musgrave and Lady Barnard and Version A from Cecil Sharp’s English Folk Songs from the Southern Appalachians. Sharp’s A Version was collected from Mrs Becky Griffin in Big Laurel, North Carolina on 17th August 1916. I got the melody from bothy ballad singer, Moira Stewart, who often sung the Matty Groves at ballad competitions in Scotland. A classic murder ballad, Lady Darnell, convinces Mattie Groves (or Little Musgrave) to sleep with her. A foot-page is standing by and runs to tell Lord Darnell. Lord Darnell discovers Matty and his wife, and challenges Matty to a duel. Matty is killed, and the Lady states that she likes Matty better than Darnell and all his kin. In some versions, the wife is killed. Jean Ritchie sang ‘Little Musgrave” for Alan Lomax on 2nd June 1949. The Roud Folk Song Index features 300 entries of this ballad, with most variants being collected in North America with 113 versions from the USA, 18 versions from Nova Scotia, Canada, 9 versions from Scotland and 2 from England. Said to be a border ballad likely originating in the North of England, Matty Groves has been recorded by several artists worldwide. The ballad was printed on broadsides as early as the 1660’s, with three copies at the Bodleian Library Broadsides collection. One version, from the collection of Anthony Wood, has a handwritten note stating that “the protagonists were alive in 1543’. ‘A lamentable ballad of the little Musgrove and the lady Barnet’ was printed in London between 1663 and 1674. The ballad features in Volume 3 of Percy’s Reliques of Ancient English Poetry in 1845. Little Matty Groves or me, or me? Little Matty Groves or me?